Hi everybody, it’s modding time again! Last week I talked about a few melee/crafting mods, so it’s fair to delve in sorcery this time around. These are two skills I enjoyed playing with because they add variety and support to existing magic options. Clearly, the description was enough to intrigue me. This skill is based both on utility and damage. 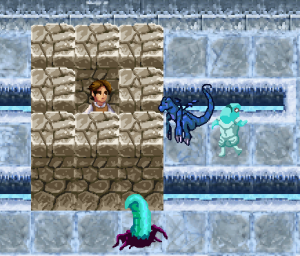 The first ability is a frontal AoE with knockback, which would also be useful to non-mages. The second lets you fly gracefully is a teleport with an added dodge and sneakiness bonus. The next three let you silence monsters, stun them, and move around the battlefield all while doing damage. As you can see, they’re designed to work with most builds, but the cost will be steep for melee characters. The capstone ability is probably the most fun to use, creating a large storm around you that buffs you, rains on all nearby tiles and strikes enemies with lightning for many turns to debuff and kill them. As a whole, Null’s mod is all about options since it can be a support skill, a main damage skill and even complement more physical character builds. Since it’s not my case in real life, I was looking forward to doing so in game. I became cold as ice. Terrible jokes aside, this skill is a good Hyperborean excellent counterpart to Promethean Magic and can hold its own very well. It starts with a single-target damaging spell with included root, and the second gives you access to a mana recovery ability right away. You might think it’s overpowered, but you’ll most likely need a different way to deal damage on cold-resisting enemies which are plentiful throughout the game. 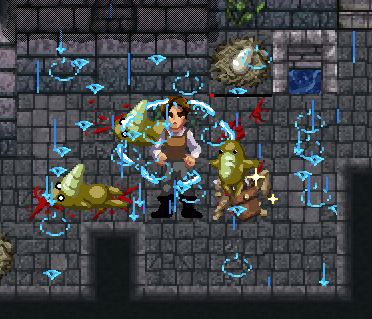 The next spells are a knockback, a teleport, and a tile-based damage/debuff, respectively. They bring variety to your arsenal and I had little trouble going through floors 3 and 4 with them. The capstone lets you hide in a tomb of ice that looks suspiciously like rocks. It’s a great panic button though. Blind Piper’s creation remains enjoyable through the entirety of its spells and is an excellent addition for people who enjoy watching monsters die from afar. That’s it for this week! I recommend you check the mod index once in a while as the mods are still steadily trickling in. Finally, as always, we’ll be happy to see you on the forums and IRC. Hi there, this is David jumping in to add a little bit to the end of the post here. 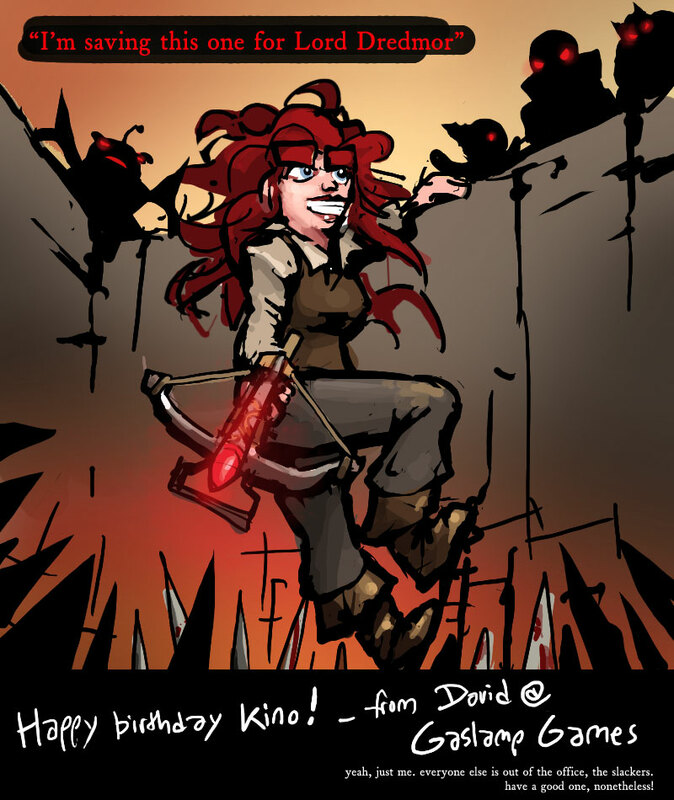 Happy birthday to Kino from Gaslamp Games! Of course now I have to draw a birthday comic for everyone who asks. Oops. In our hearts we all know that Hyperborea is the real gangsta’s paradise. Oh snap! 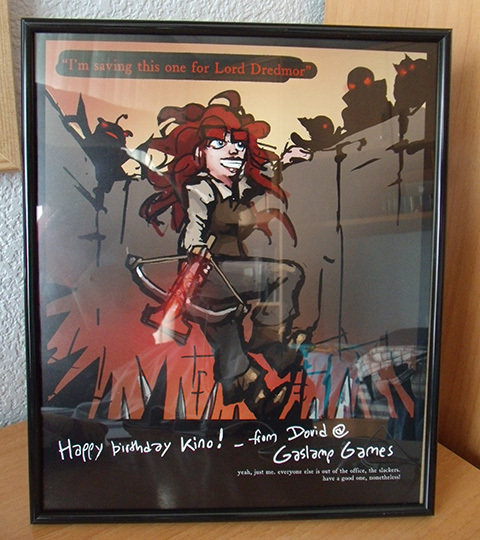 My birthday was a month ago! I must invent a time-travelling device! For science! Wow, I had no idea that many people worked at gaslamp! Everyone currently involved with Gaslamp is on the drawing in the “About” section (with the exception of our intrepid animator, who we should really get in there). Those mods look quite neat, One of the things that make this game so great is that there is room for the community to improve a game that in my opinion is almost perfect. I was at that party, and was worthwhile just to see his face. In my last play I saved 5 high-power bolts for Dredmor, and I’m not doing that again, It’s a really bad idea. I almost got killed in a monster Zoo in level 10.